The following are all the things you should know to make a well-designed restaurant business card. You will learn all the secrets to make sure it stands out from the crowd. Do Restaurants really need Business Cards? You may consider the business card to be a dying practice, but the truth is completely different! Do you know that 40% online customers are encouraged by an offline channel? 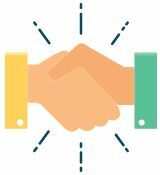 First impressions matter the most when it comes to wooing customers. You get only 5-6 seconds to make that long lasting impression. So why not take the right way and use business cards to impress your co-workers, customers and collaborators! These trendy and long lasting business cards present your personal business statement. That is why leading companies over the world have adopted stylish business cards for conveying their brand message. It is essential to update yourself to stay ahead of the race! The digital age has made businesses thrive with a splendid online presence and an easy to access mobile app. Service providers running small local businesses still use age the old business card. In this paperless age, virtual business cards are taking over with technology at the fingertips. A traditional business card usually gets lost in a pile of files or is easily forgotten in the back of the wallet. So, even if you do need a business card, you need a card for online use too – like a vcard; it creates an opportunity to interact with people and connecting them together through virtual business cards. If you’ve a restaurant, you need a business card! Are Restaurant Business Cards Effective? Yes, business cards can be personalized exactly according to your preferences. The simple yet elegant backdrop, for instance, goes to create memorable impression and tickles your customer’s desires for luxury. Restaurant business cards can go a long way to share the warmth of your organization with your customers. It is a more personal approach which gives you better results than approaching someone through email. You may also consider that not everyone is tech savvy, especially the adult generation who still value the traditional practice of using business cards. It is also a matter of reputation, and business cards go a long way to earn you a good name. Customers can also easily share your contact information by handing the cards to others. Business cards also remind them of your establishment from time to time- whenever they view your card in their wallet! Restaurant business cards can be easily handed to the customers and people you meet. It is a great way to market your business establishment and create brand awareness. Do not miss any opportunity to hand them out; also keep some by the cash register of your restaurant. Don’t get too creative or innovative while designing your business cards. Remember that the main function is to communicate your contact details to the person you are handing it over. So keep it to that and try to incorporate the following characteristics into your restaurant business cards. You may not be surprised to know that the attention span of humans has dropped below the levels of a goldfish! Your business card needs to grab attention quickly and tell who you are. Present only the important information and consider mentioning the business type (may be adding restaurant after your business name) to make things clear. Once again, keep a check on your creativity! All the fonts on the business card should be legible and easy to read. Do not use colors or font sizes that might need one to strain their eyes to read. The information you want to convey should be clearly read and understood by any person. Your brand identity should also be reflected in the graphical style adopted. It’s alright to use the printer for your business cards if you are giving them out for your lemonade stall! Business cards spell professionalism and you should only go for a professional service to print your cards. It’s only a matter of few dollars and you also get saved from generating a poor image of your restaurant. Remember that your business card in going to end up in the wallet or pockets. So prevent from using any material like plastic, fabric which might be difficult to keep at those places. It’s best to use classic materials and a matte finish for the best results. You are not giving your contact information to your buddy. So don’t use anything like bestrestaurant@gmail.com. Create professional email id and contacts and use them on your card. It is best to use addresses of your web domain which instantly relates one to your business. These days everybody is on social media starting from celebrities to business owners. It is a great way to promote brand identity, brand awareness and communicate with your customers. So put your social profile links or QR codes right in your restaurant business card. The design, layout, and color scheme of your business card should follow the lines of your website, brochures and other content. It expresses consistent brand image and help customers identify you instantly. 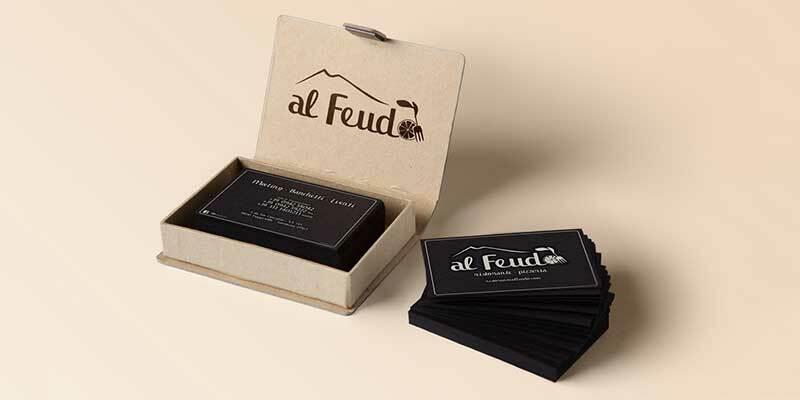 Apart from the material, the size and shape of the business card are also crucial. Anyone should be able to slide it in their wallets or pockets with ease. So prevent from using shapes like triangle, square or a rhomboid. As a rule of thumb, the standard size of a business card is 8.5 cm. x 5.5 cm. You can look around for design and layout ideas for your business card, but it is best to approach a professional before the final decision. You can even hire freelance graphic designers from portals like Upwork and Freelancer at an affordable cost. There are also some online resources which can be used to make business cards. You can look into tools like Canva which is great for beginners. Where can I get some Inspiration? Here are some templates from VistaPrint to jump start your imagination! You could create your own design, have your own business logo and more – and with a good design, you could have a business card people will fall in love with.